Register to receive a PDF map of all participating sellers. It's time for our 6th Annual Community Yard Sale! NNA has organized a neighborhood-wide day of resale. A map of participating sellers will be online soon. We have over 50 yards participating in this year's event! A PDF OF PARTICIPATING HOMES WILL BE UPLOADED SOON. PLEASE REGISTER HERE TO RECEIVE IT BY EMAIL. PLEASE NOTE: REGISTRATION FOR THOSE INTERESTED IN PARTICIPATING AS A SELLING YARD IS NOW CLOSED!! THIS EVENT REGISTRATION IS TO RECEIVE A MAP OF PARTICIPATING HOMES, ONLY. 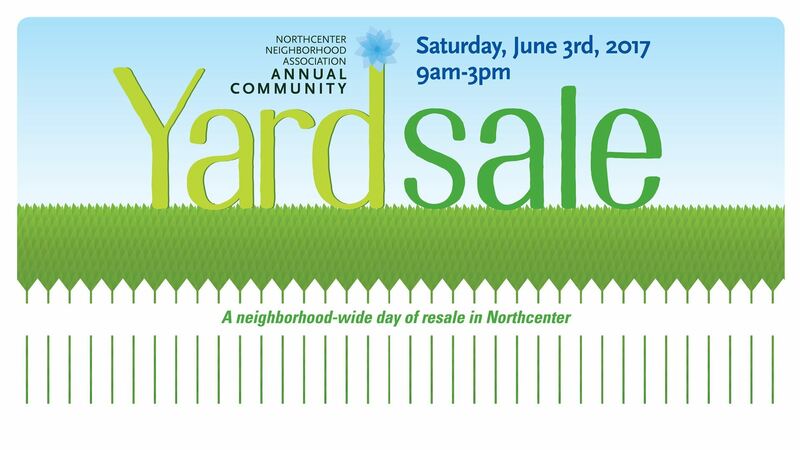 We'll be using #NNAYardSale on social media throughout the day to highlight some items around the neighborhood. Please feel free to snap some pictures and share your experience as well using #NNAYardSale. PARTICIPATE IN OUR YARD SALE INSTAGRAM CHALLENGE! Follow us @nnaneighbor on Instagram. Take pictures of your items and experience throughout the day using #NNAYardSale and tag @nnaneighbor in the post! At the end of the day, the person who tags @nnaneighbor on Instagram in the most posts will receive a $25 gift card to a local establishment. Hope to see you Saturday, June 3rd from 9-3pm. Bring friends, enjoy the neighborhood, get some great deals! If you have any additional questions, please contact us at northcenterneighborhood@gmail.com.